Every single new player who joins can claim a 35% welcome bonus, valid up to a total of $350 in all. Click here to Join! 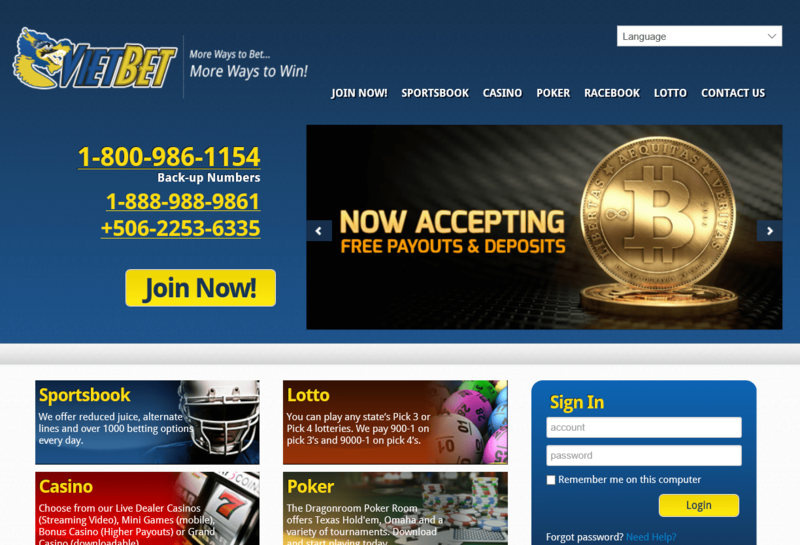 VietBet is one of those organizations that truly has something for everyone, especially the sports book customer. It is user-friendly and staffed with sharp people, and the customer retention rate is sensational. 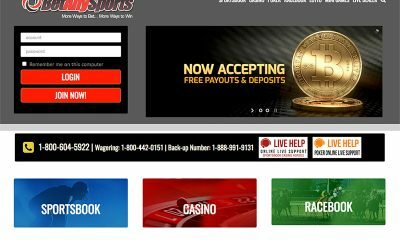 The menu that is available for sportsbook customers is very extensive. VietBet offers wagering on sporting events throughout the world, no matter where it is, and that includes soccer from virtually every nation’s major league, not to mention boxing, MMA, NASCAR, Formula 1, tennis, golf, rugby, and much much more. It goes without saying that they also cover all the popular American sports, like baseball, football, basketball and hockey, and go out of their way to offer a very generous selection of prop bets, futures and exotic wagers on these events. One of the other things that VietBet has that scores big with customers is the ability to offer “reduced juice” betting on games. This means that the bettor can arrange to reduce the price (the “juice,” as it were) that they have to give up to the house for any given event. Along with the alternate lines that are also available, customers find an awful lot of opportunity to attain value. Perhaps the most unique thing VietBet has going for it, and where it finds a very strong market niche, is that it is by far the leading U.S.-facing sportsbook for Asian-Americans. The customer service staff speaks , Vietnamese, Chinese and Mandarin. Of course, they also speak English and Spanish, and they are extremely attentive and efficient, so as a result they are ideal for all customers, regardless of where they reside. Customers located in the United States can sign up for a real money account using a credit card or debit card, and there are signup bonuses available. VietBet has also acquired a well-earned reputation for paying its customers quickly, and that may be one of the most important things of all. With a casino, racebook, poker room and lottery, VietBet certainly brings a complete package to the table.